Join us Friday, August 3, 2–8 pm, and Saturday, August 4, 11 am–8 pm, at the ZMA’s Children’s Tent during the 2018 Y-bridge Arts Festival, located at Zane’s Landing Park. Bring the whole family for a weekend of art activities, hands-on demonstrations, fine art, live music, food, and drinks. The Y-bridge Arts Festival and the ZMA’s Children’s Art Tent are free and open to the public. For more information about the Y-bridge Arts Festival, visit www.ybridgeartsfestival.com. 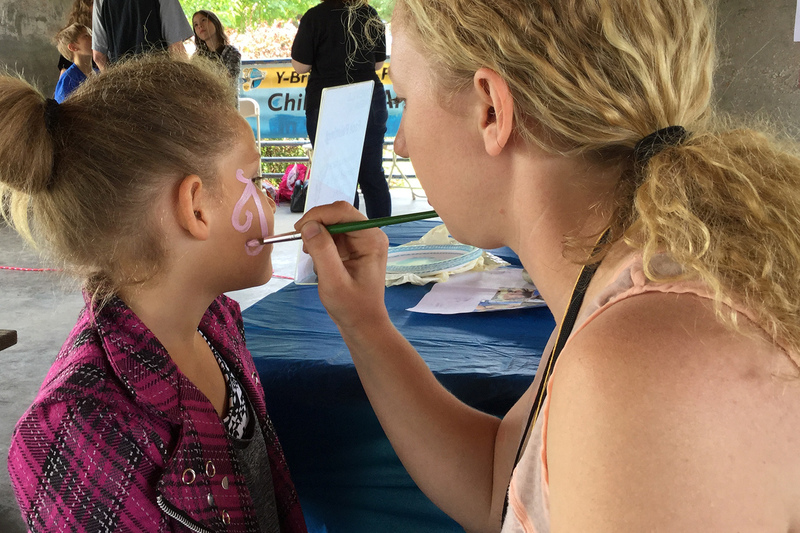 Visit the ZMA’s Children’s Art Tent throughout the festival for tons of cool art activities. Create fun projects to take home, snap a photo of yourself as Da Vinci’s Mona Lisa or Edvard Munch’s The Scream, add your own personal touch to our collaborative chalk art display, and enjoy the creative company of old and new friends.